A new form of social media was created last week – a 10 minute “TwitterStorm” broke out over the topic of childhood immunizations one month after the Disneyland exposure and subsequent outbreak of 121 measles cases from 17 states and Washington DC. 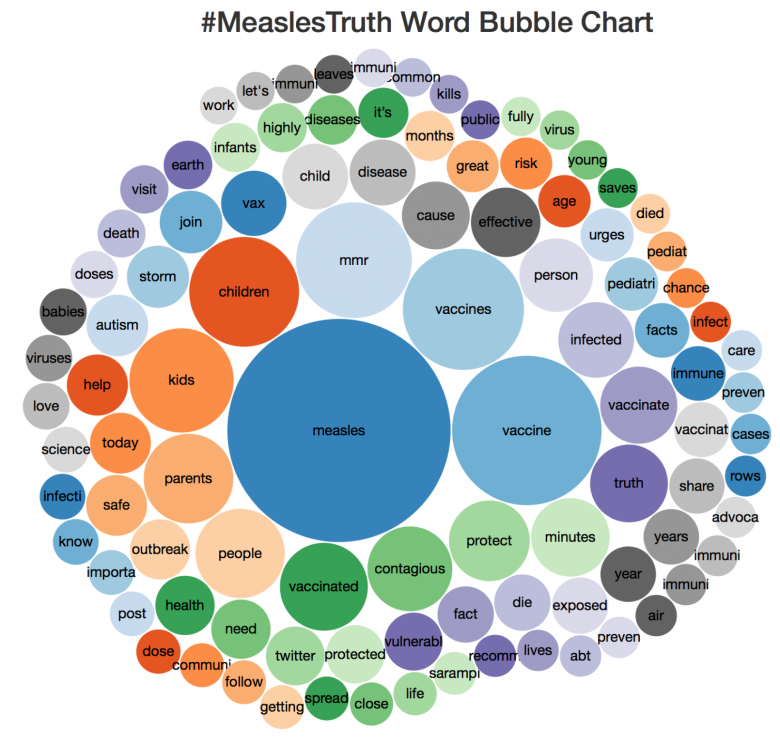 Using the hashtag #MeaslesTruth, on Feb. 6th, a concentrated stream of vaccination science information and encouragement emanated from predominately pediatric physician, medical society and pediatric health news sources. The concentrated impact was great enough to create a trending topic on Twitter in the US. 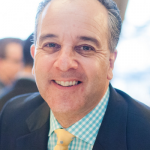 Using a mix of Symplur Signals and interviews of the organizers and participants, we can analyze what Bryan Vartabedian, MD describes as a “Blitzkrieg of activity” to look for meaning in the Tweets. 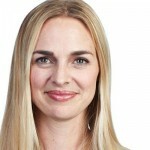 The innovation of a 10-minute information storm was invented to fit into the busy schedule of Wendy Sue Swanson, MD, who had to squeeze in a Chicago TV interview at WGN before racing to a coffee shop to participate in the very short version of a Twitter Chat using the standard hashtag to connect the conversation. The idea of “just dumping out the truth” came to Dr. Swanson in a conversation initiated by Rhea Boyd, MD who decided there was a need to do something about the measles outbreak after chairing a Northern California chapter of the American Academy of Pediatrics (AAP) advocacy meeting. 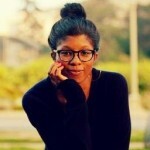 Dr. Boyd’s originally requested advice from her mentor on how to stimulate the Northern California chapter, but sensing a national audience for the conversation, Dr. Swanson activated her connections from the national AAP media and communications committee and the national pediatrics group quickly came on board, created the hashtag and marshaled their support. The central role of the APP’s role can be seen in this network centrality graph which indicates the number of connections with the #MeaslesTruth participants. Recognizing that a full-hour Twitter Chat was too long for busy health professionals, Dr. Swanson questioned, “what if we just did a 10-minute dump of the truth?” and the Twitter Storm was created. The organizing campaign only took a little longer, according to Dr. Boyd the night before she and Dr. Swanson created a blog post offering a tip sheet on quick facts, and links to share, followed by a core group calling and sending out emails to their professional networks inviting others to participate. The short time span created flood of messages that was hard to follow and even contribute to the stream. Dr. Vartabedian preloaded five of his messages and while attempting to follow, but the he found that in the “flash mob” atmosphere, he could only scan the stream and quickly retweet the messages he liked the best. As a leading advocate of physicians becoming more active in social media he wonders what would have happened if pediatric doctors were more public voicing their concerns after the 1998 discredited and retracted Lancet article about the safety of vaccinations. In the void, Jenny McCarthy and other media savvy anti-vaccination activists dominated the conversation and successfully planted doubts. 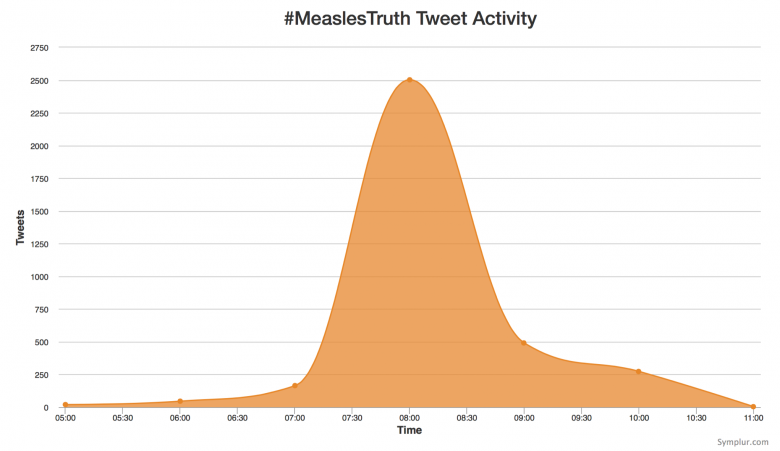 A hint of what is possible was seen in the #MeaslesTruth campaign as the anti-vaccination group found the TwitterStorm and attempted to enter the conversation, but the immunization proponents diluted their message with science. The short time span and the flood of messages made it harder to infiltrate than a normal Tweet Chat, but that was more of an accident of the 10-minute window than a plan. Created by proponents of the science-based evidence behind the safety and effectiveness of vaccinations the TweetStorm reflects a positive message. Dr. Rhea hoped the message would eventually reach the general public who are considering vaccinations, yet conceded that this initial audience was physician-focused, but she stressed there is a need for this group to express solidarity since they are on the “front lines with their one-on-one encounters with families” and having a unified voice can reach more people. It is hard to know how much of the TweetStorm did reach a parent audience. Among the active Twitter users with over 20,000 followers, Dr. Swanson’s audience collected from her media appearances and recent book for parents, and the Twitter stream of the parent-oriented KidsHealth website were more likely to reach families; while the professionally oriented AAP group and Dr. Vartabedian’s healthcare professional and communications audience were more likely akin to preaching to the choir. The links shared reflected of a more healthcare professional focus with the top five links containing four doctor/hospital sites with only one link from National Public Radio’s Shots blog. The “happy accident” innovation prompted three inquiries from marketing friends to Dr. Vartabedian and we may have witnessed the creation of a new social media communication form. 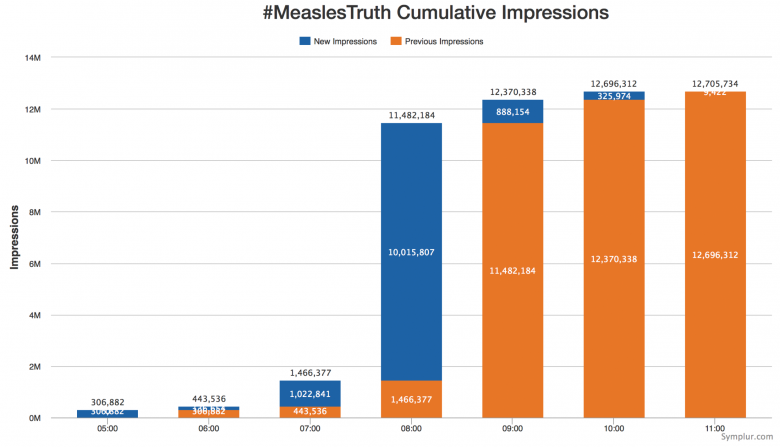 The continuing measles outbreak is driving increased interest from the media, lawmakers, schools and pediatric practices and it will be interesting to see if the TwitterStorm will be repeated, or spread to other topics in the future. 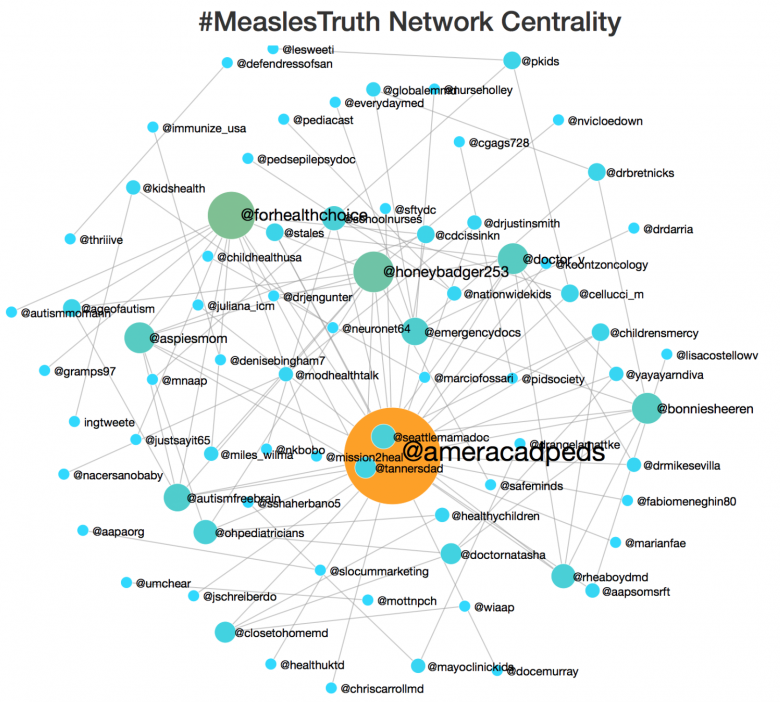 A full transcript of #MeaslesTruth can be found at the Healthcare Hashtag Project.